The objective of the game is to find a match for all cute animals on the board, connecting two of the same type. Connections can be made using three lines or less. 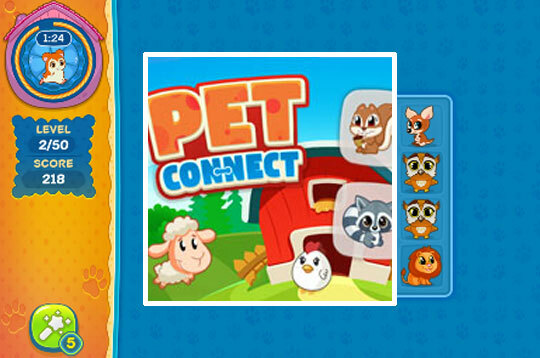 - Play Pet Connect Free and Enjoy!